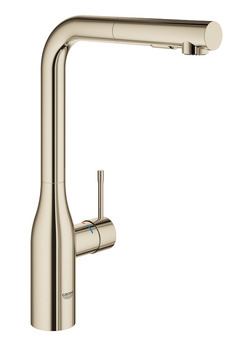 The Essence mixer tap by Grohe features a handy pull out spray and is fitted with Grohe’s SilkMove technology to ensure smooth, accurate water and temperature control during operation. Also featuring a 360º swivel combining both design and flexibility. Available in a range of finishes, this tap would make a great feature in any kitchen.